Every espresso needs a cup to show it off, and our Espresso Glass Set is designed to do just that. These glass cups with matching saucers let you see your yummy little espresso all the way to the bottom, so you can enjoy its lovely colour as much as you enjoy its taste. The confident yet understated design of these espresso cups make them a sure hit in any kitchen, as they infuse timeless style with a more modern look. With a round bottom tapering to a wider opening, with these espresso glasses you can really enjoy the aroma of your coffee when it’s made by your Dole Gusto® machine. 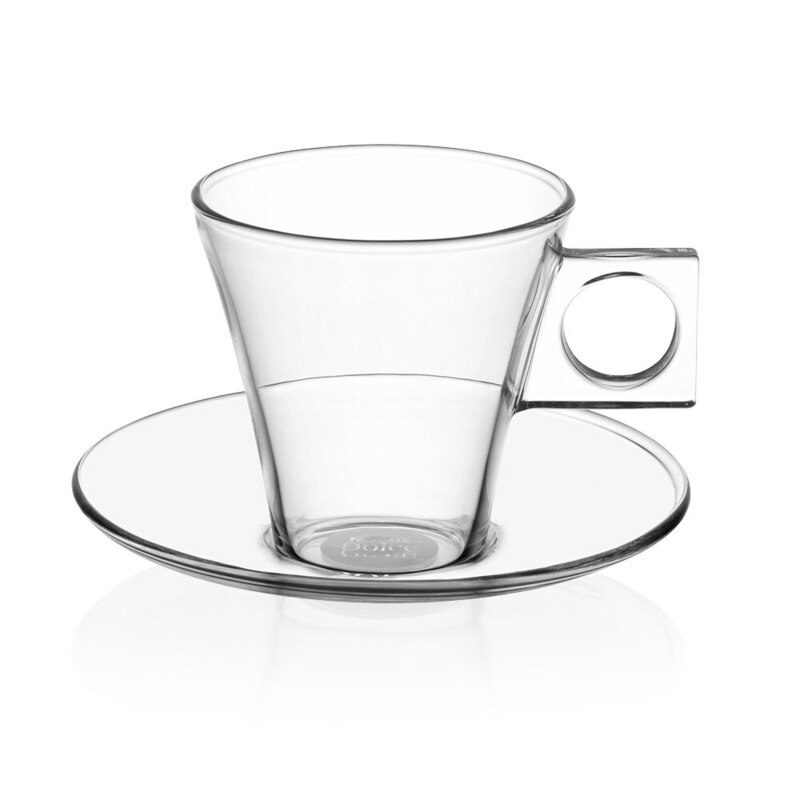 Their square handles gives them a modern twist while staying true to the classic size of the traditional espresso cup. And as they come in a pair, you can easily share your yummy espresso with a friend – or keep it all to yourself! Microwave and dishwasher safe, there’ll be no fuss when it comes to using your new glass espresso cups. So whether you’re adding a bit of extra jazziness to a special occasion or making your everyday coffee moments more enjoyable, we think you’ll love your drinks even more with this neat little pair!